As we depart Durango, I thought I would leave you with some images from the area. Have I mentioned that I love these old Iron Horses? 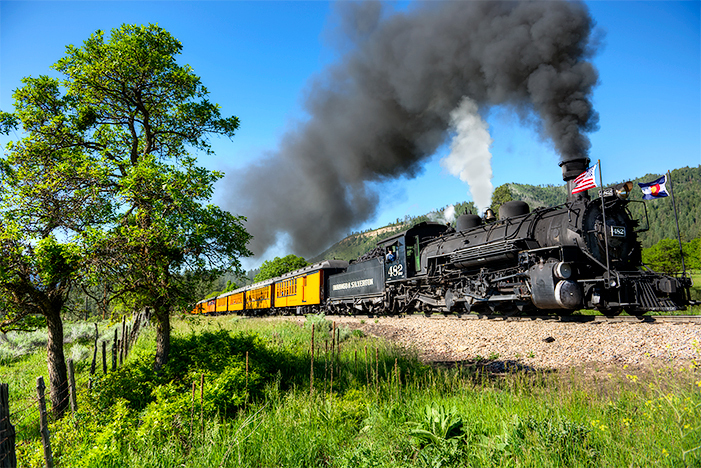 Chasing the Durango Silverton Narrow Gauge Railroad as it head out of Durango on it’s way to Silverton is one of my favorite endeavors. This is county road 250 with it’s green horse pastures. We explored the Missionary Ridge area of the San Juan National Forest and learned some history. When the Missionary Ridge Fire erupted in June 2002, it was hardly a surprise. Conditions in Southwest Colorado and across the West were tinder-box dry and warnings had been issued far and wide about taking great care with any potential fire source. Still, the speed and scope that the Missionary Ridge Fire took on was difficult to anticipate, respond to and recover from. Its impacts are still felt today and will be for decades to come. Throughout the 39 days that the fire gripped the region’s attention and resources, it consumed nearly 73,000 acres, including 56 homes. Sadly, one firefighter lost his life. This is my impression of the new growth that is evident in the area. 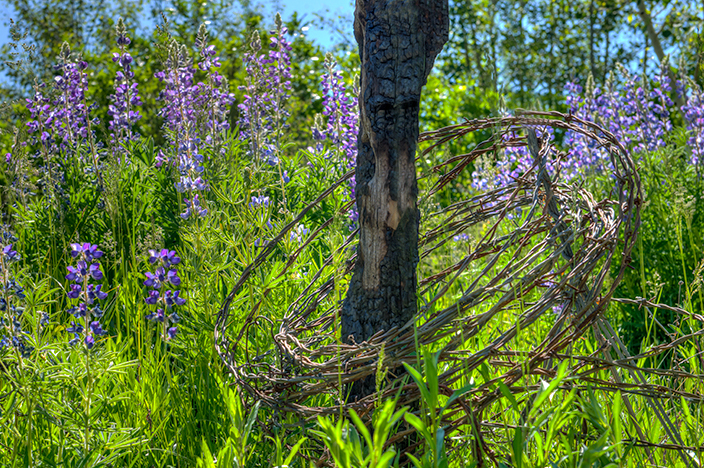 A burnt fence post with a coil of barbed wire in a field of lupines. 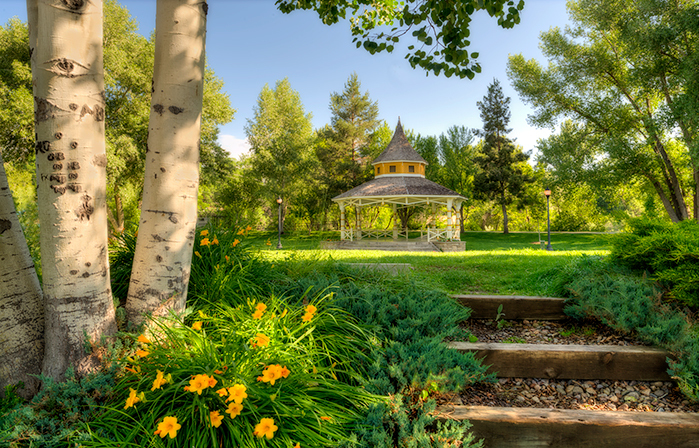 Rotary Park is a great base camp for watching the train cross the iron trestle or start a walk along the scenic Animas River walkway. Had to hurry this shot as the morning yoga class arrived for a session on the green grass. Summer flowers were just starting to decorate the area near Santa Rita Park. They have a lovely flower garden here. A wonderful place for a picnic along the River and the constant entertainment of rafters running the rapids. 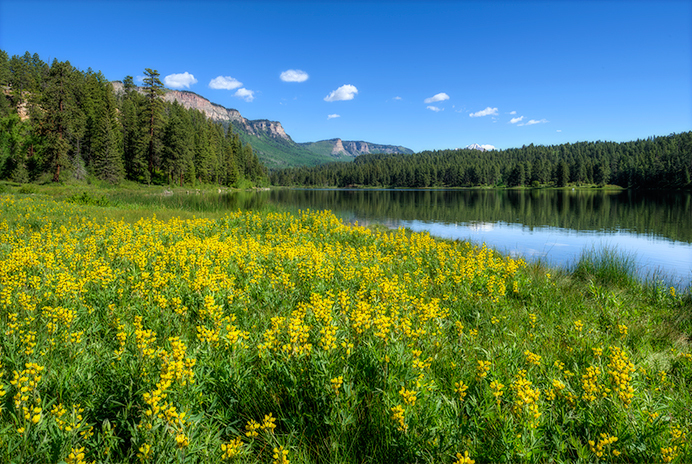 Haviland Lake is great picnic and fishing spot in the San Juan National Forest. 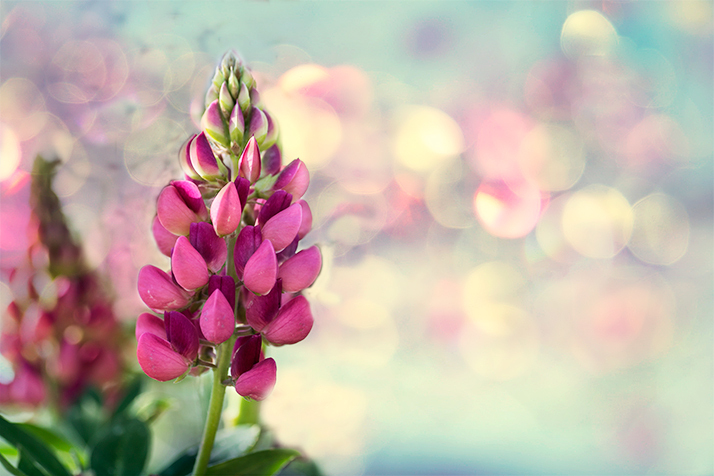 The wildflowers were gorgeous along the water.